Acoustic Control Corp 626 -any info out there? ...and more to come, it’s a sickness. Are you planning an original restore or resto-mod? As to the MR and the woofer, check the back for EIA manufacturer codes if you can find any photographs of the original's innards. 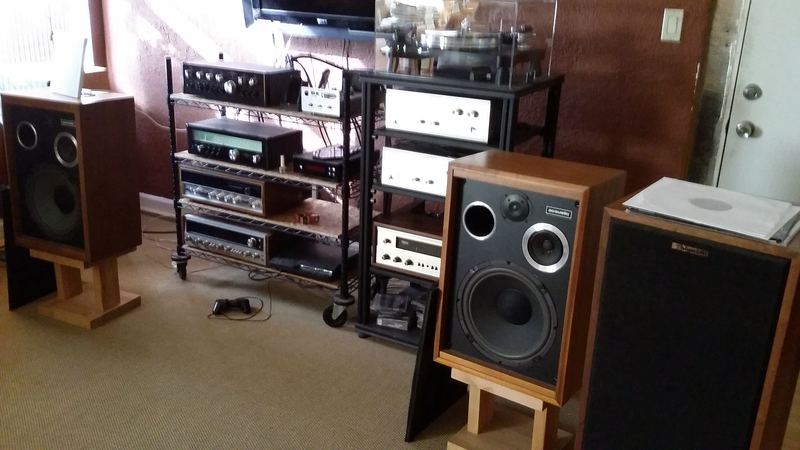 Or dig deep on other hifi fora. Eminence's EIA code was (and is) 67. CTS is 137. Those, I reckon, are the most likely suspects for something like these. 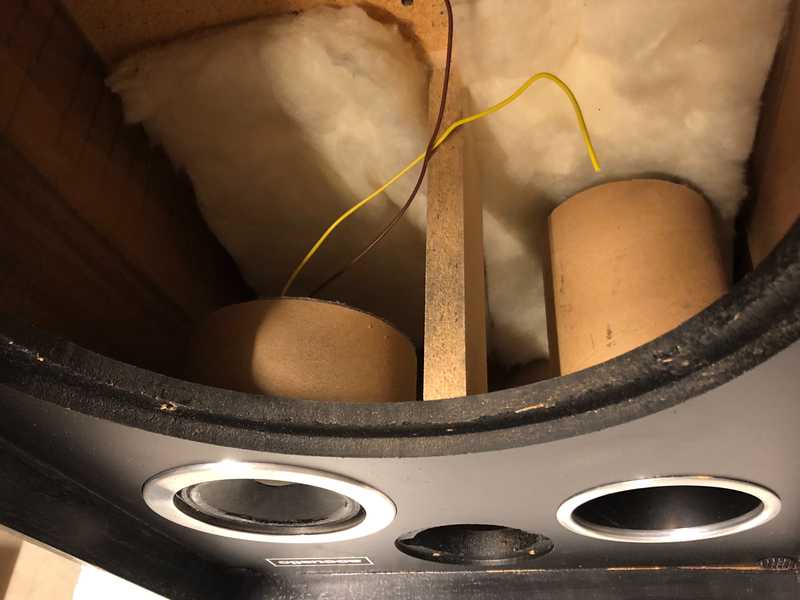 The problem is that, even if the woofers were made by Eminence, they could have been any of dozens of 'standard' models, or it's just as likely they were bespoke (so to speak) OEM drivers made to the loudspeaker company's specification. I will say (not that you asked) that I'm not seeing much there of interest -- although the boxes look well constructed. Per the reply immediately above -- it might be well worth repurposing the boxes with good, modern drivers and an appropriate XO design to make the most of what's there. One may calculate the volume of the box and the port volume to work out the tuning of the BR, and work backwards to identify a woofer with appropriate Thiele/Small parameters. The sensitivity of the chosen replacement woofer can be used to identify appropriate MR and tweeter drivers. 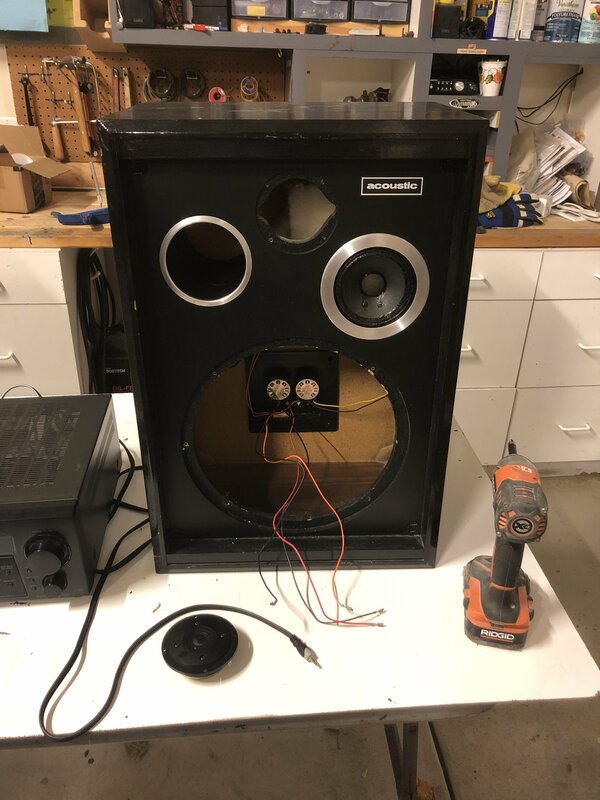 www.partsexpress.com (and their speaker builder forum) and www.madisound.com are outstanding resources for loudspeaker DIY -- and there are others as well. HTH, if only a wee bit. 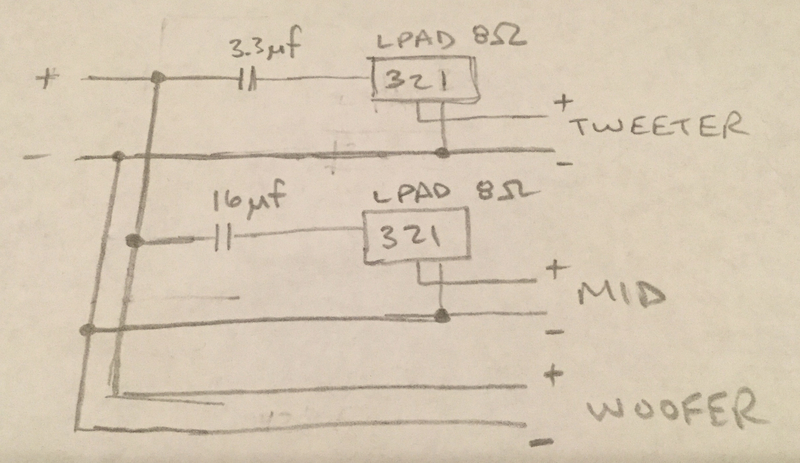 Does that crossover "network" only consist of two capacitors and a pair of L-pads? Or are there also one or two inductors (coils) in there? 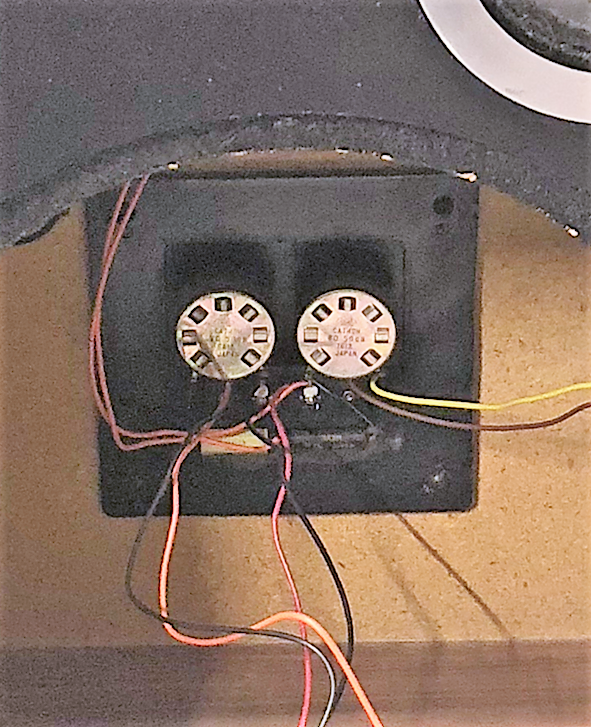 I can't tell for sure from the photo... if there are only two first order XO elements for the MR and tweeter, that's pretty... primitive... for a three-way. Also, just from the pics, and rough math in my head, that port appears to be tuned for 80-100hz (awful). Elbow it extend it and add a flare internally. Is there any internal bracing to speak of? Thanks guys. I grabbed the cabinets because of the positive comments I found from internet searches and the quality construction. I really hadn't made a plan yet, but resto-mod looks like the better route. A full restore might be tricky and not be worth the $$. The cabinets are in quite good shape and with a little sanding and finishing should look very nice. As recommended above I'll do a little math and look into some new drivers. @mhardy6647 - yes, that's all the "crossover" consists of. Might be fun to build something new. 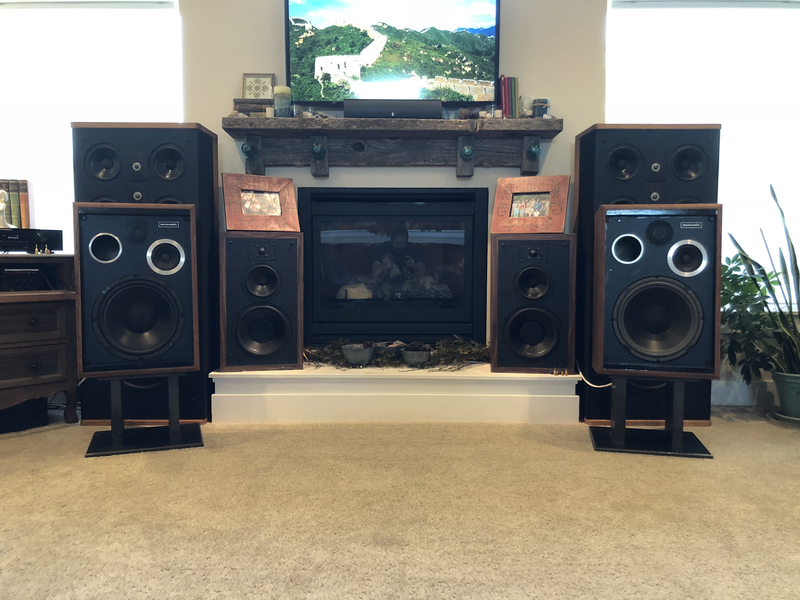 @FestYboy, yes re-tuning the port may be in order, and there is a decent brace between the front and back directly between the tweeter & 12". Fun project all around! I appreciate the insights. Nope, it’s really interesting. They’re actually loaded in their own cardboard tube “enclosures” which are sealed on the back. The mids actually sound really smooth. Nice pictures, that better look at the insides makes me rethink the port tune (longer than I initially thought). Putting in the elbow in will get the mouth away from the batting (good thing). Not sure the batting is even needed with a different woofer. Should make for an interesting build, lots of tinkering! Nice grain. I asked about modding and mids because I saw a resto-mod where the guy top-mounted the midrange on the cabinet in an open back tube. Sounded superb. 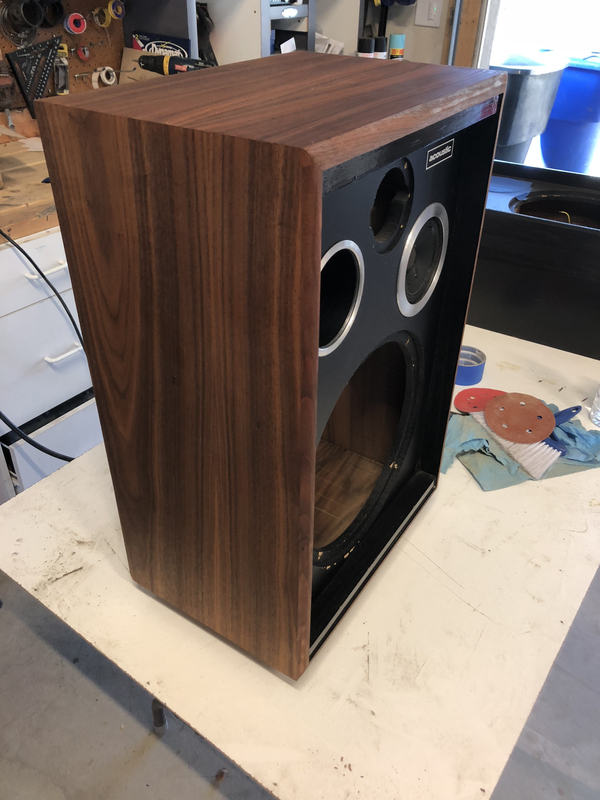 What are the cab dimensions? Interior dims: 8 1/8”deep, 14 1/4” wide, 22 1/2” tall. The mid “enclosure” is 3 3/4” deep & 5 1/4” dia. Port is 7” deep & 3 3/4” dia. I'm with Festy, that port just looks odd. Got more info. Confirmed that the original 12's were by Eminence. On the square magnets the following was stamped: 130058 67-8009. Eminence tech support told me that they were too old for any good records, except that they were 4ohm, with a 2” voice coil and a 30oz ceramic magnet. Based on the cabinet volume ~2200cu in (total minus “mid-enclosure”) does anyone have any driver recommendations? 4ohm, with a 2” voice coil and a 30oz ceramic magnet. Well, that's helpful & interesting -- fairly beefy woofer. They couldn't tell you the sensitivity, Fs, or what kind of surround it had? 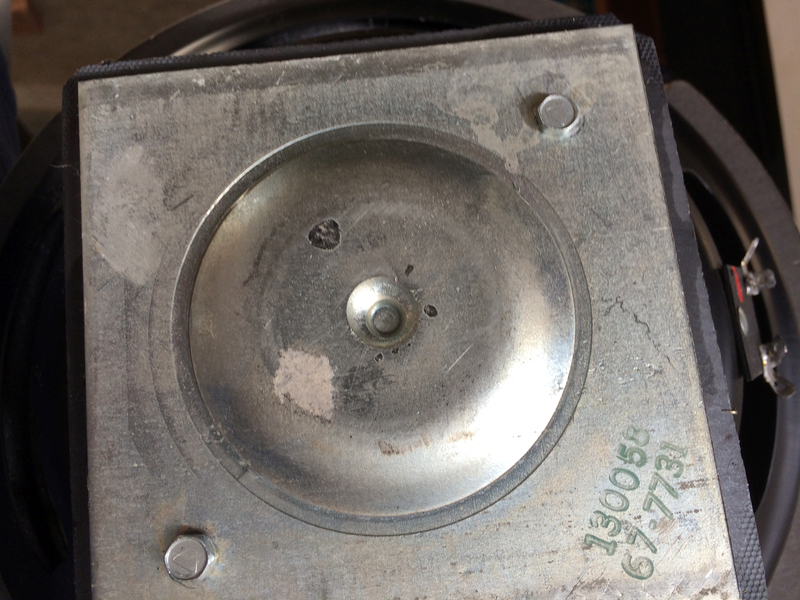 -- and the ported enclosure is tuned to 45 Hz from the factory. I am guessing (and this isn't a particularly educated guess!) 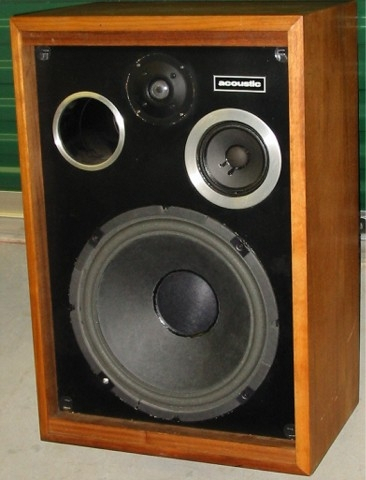 that the Fs of the original woofer might have been ca. 60 Hz (i.e., a "pro sound" kind of driver)? So, you want a woofer with sensitivity in that neighborhood, too (although of course the MR & tweeter can be padded down a bit if need be). Do you (the OP) know anything about the MR drivers? @mhardy6647, awesome info. Thank you! The woofer number I found referenced on another thread about these old gals. The surrounds were foam and from what I can see they had a paper cone. I’m making an assumption that they were consistent with loading the same drivers in all of the 626's. The tweeters are actually Matsushita Heavy Industries (Panasonic) EAS-9KH05S. They’re 8ohm. The “grill” and front cover plate are a litttle different. 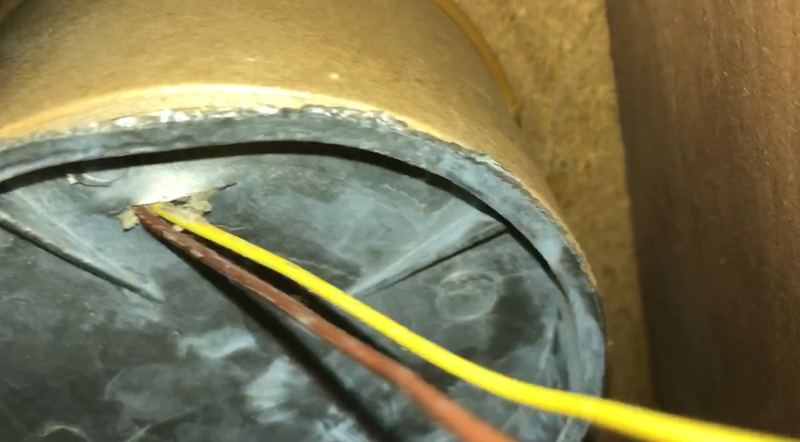 However, the magnet and mounting plate for the soft dome/wiring wiring looks identical to the Phillips unit you referenced. So I’m sure they’re very similar... not sure who knocked who off first? The MR's are a mystery as they’re sealed up in their little cardboard cocoons and I can’t find a way to extract them without damaging the mounting. More sanding tonight revealed more beautiful walnut... Excited to rehab them, love this hobby. Thanks for all the insights! The Panasonics are a clone/knock-off of the Philips. Indeed, I have a pair of the Japanese ones, too(sold by Lafayette, but almost certainly Panasonic/Matsushita OEM) -- although the ones here have a different colored dome (milky instead of clear plastic) compared to the Philips. I looked at current 4 ohm Eminence drivers on Parts Express last night - but they're way more serious drivers than what you'd want to put in those little boxes; and they're also more expensive! 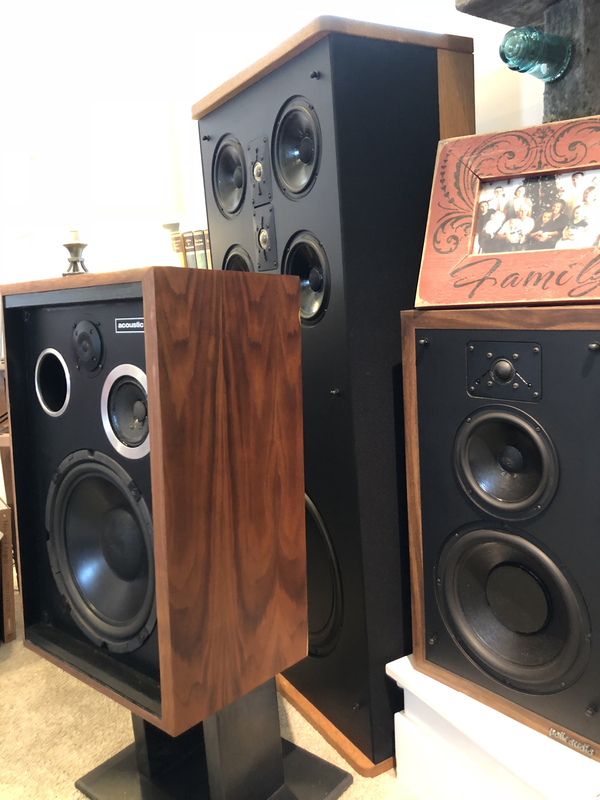 These remind me of a Klipsch Heresy sized cabinet. Would one of those replacement drivers work? They should be high efficiency. I have heard there is a port mod for them to give them deeper bass and a fuller range. These look closer to the ported "pro" version of the Heresy (KP-120?) that were mated to large theater sub boxes. These had a high port frequency and roll off, but could vibrate just about anything in their frequency range. They sure take teak oil nicely.,. Finally had some time today to get these cleaned up and running, ended up needing tweeters but found an affordable pair on eBay. The walnut cleaned up beautifully. They sounded better up off the floor, but my Monitor 7 stands don’t fit them very well... might build some low profile stands to raise them up 4” and a ~5deg tilt. Even with the RadioShack 12's loaded in them they actually sound surprisingly warm and smooth. The L-Pads help to tame the tweeters. I think some 12's with white cones would look pretty cool in the cabinets. We'll see how much $$ I can justify dropping into them... I mapped out the crossover, which I may re-cap because it’s super simple. However, I may add a low pass filter for the woofer. The mids are crossed over at ~1.3K so maybe low pass at 500? Thoughts? Thanks again for all the input! In terms of mucking about with the XOs, I offer a suggestion. You'll need a couple of more amplifiers as well -- but you can play with crossover points & slopes easily. There are also amplifiers with DSP and standalone DSPs that might be very useful in empirically optimizing XOs. @mhardy6647 - I have some buddies in the pro audio world and actually was thinking about borrowing a couple of amps and some parametric eq's and do exactly what you’re suggesting. When (if) I find some 12's, I’ll bi-amp and sweep them a little, play with slopes then build a low pass circuit to match. Love this stuff! I think it would be a fun exercise if one has the bandwidth (so to speak!) and inclination. I've been inching towards doing the same thing with my Frankenaltecs. I have an original pair of 626's. 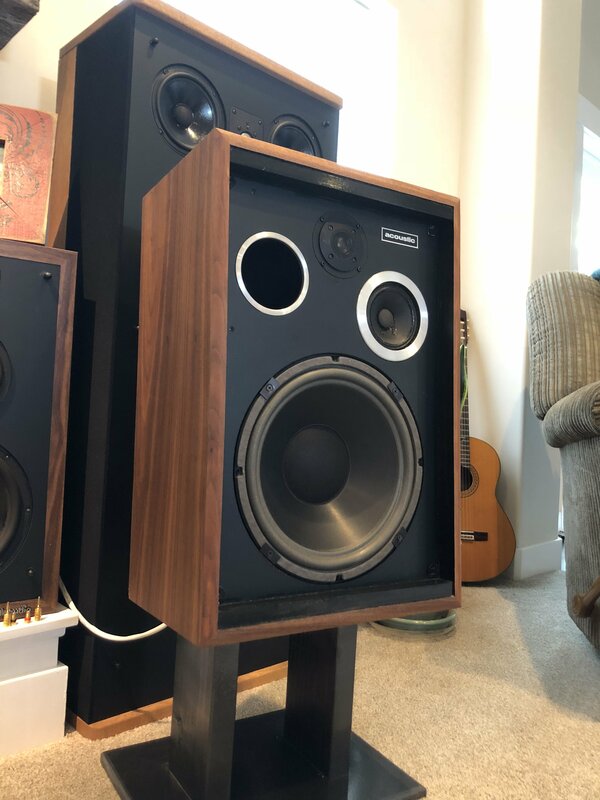 I recapped the crossovers and re-foamed the woofers. Purchased in Los Angeles in 1976. I sold my pair to a friend but if anyone ever comes across a pair of the original 12's let me know. I would still like to make them right for him. 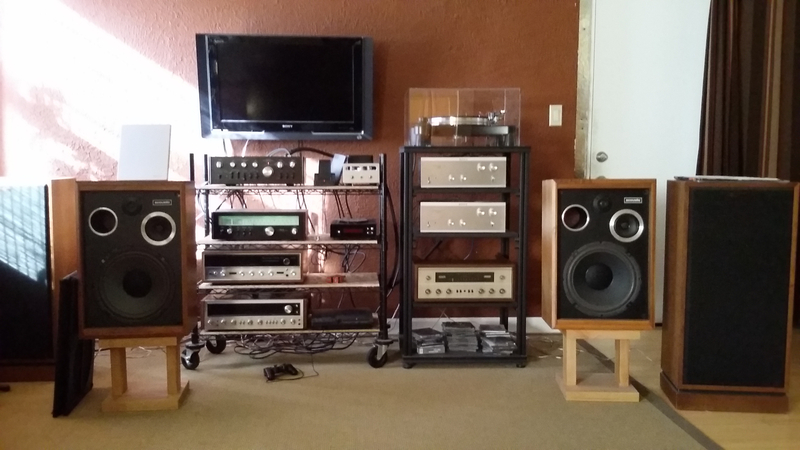 Thanks JayMX, mhardy6647 and all for posting concerning the Acoustic Control Corp 626 speakers. I picked up a pair of these heavy speakers for $25 over a year ago at a Goodwill. 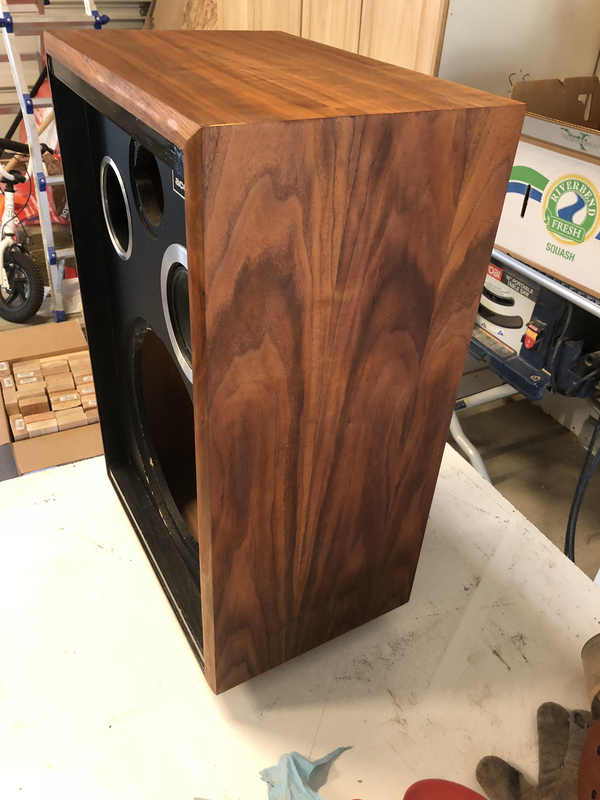 The walnut cabinets are a bit scratched, but the drivers looked okay. However, the speakers never really sounded that good to me. I couldn't figure it out, but the sound was just off in either one or both speakers. Thanks to the posts on this forum, I decided to take them apart and recapped them. 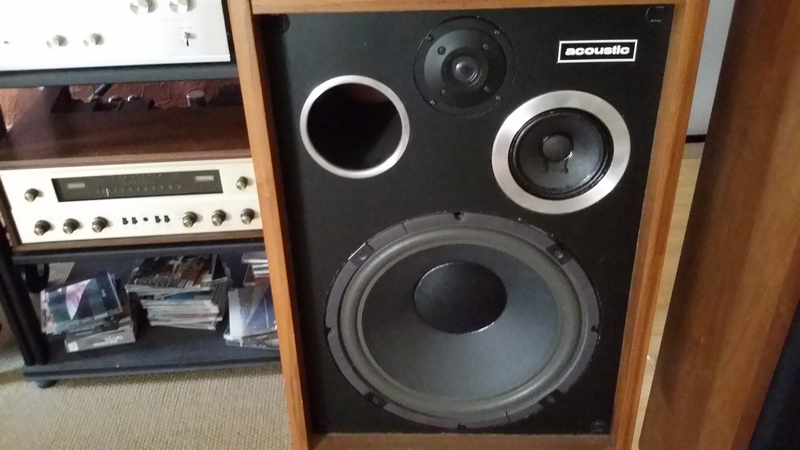 From the information provided above, my woofers in these speakers are Eminence made in Aug, 1977. 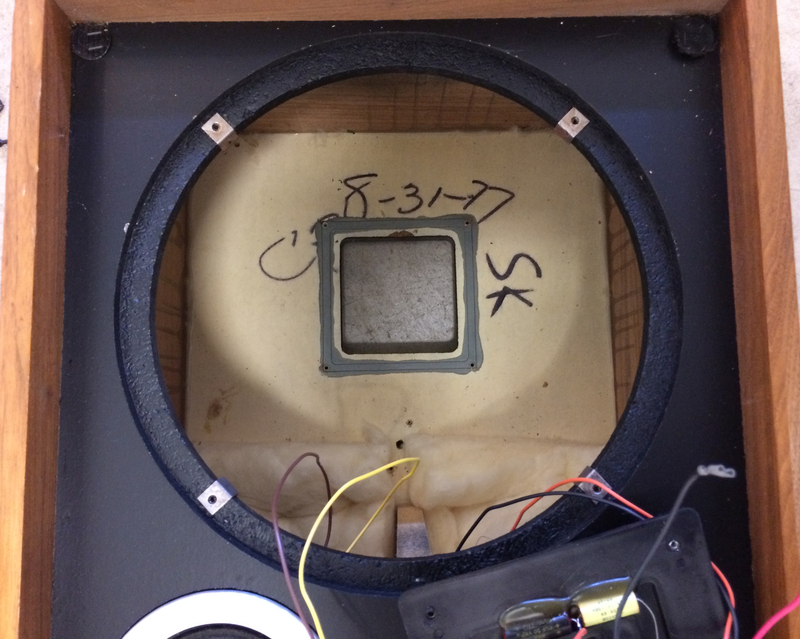 In fact, the speakers were labeled on the inside as being constructed in Aug, 1977. I replaced them with new caps for a total expense of $5.00, put it back together, and...wow, the speakers sound beautiful now! I had never done this before and I was amazed at the difference. 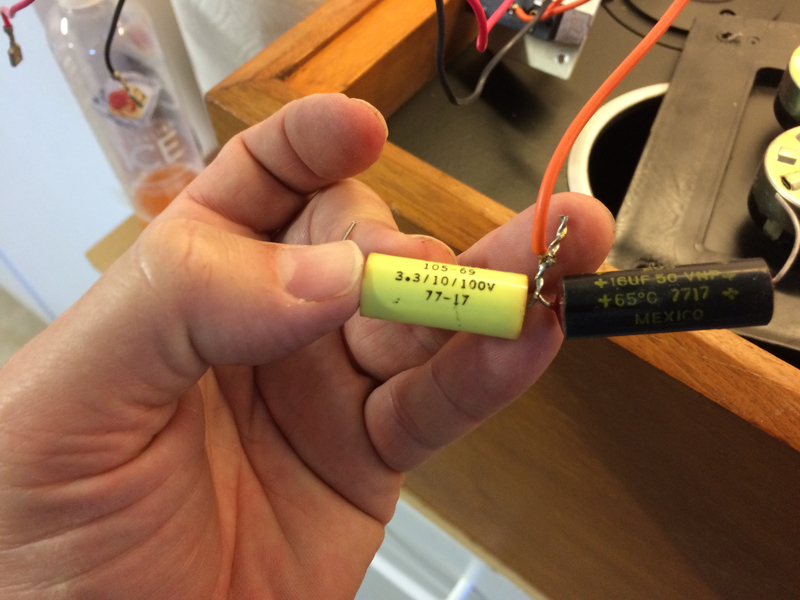 After 41 years, I guess, one or more of those original capacitors were just not as good as they used to be. 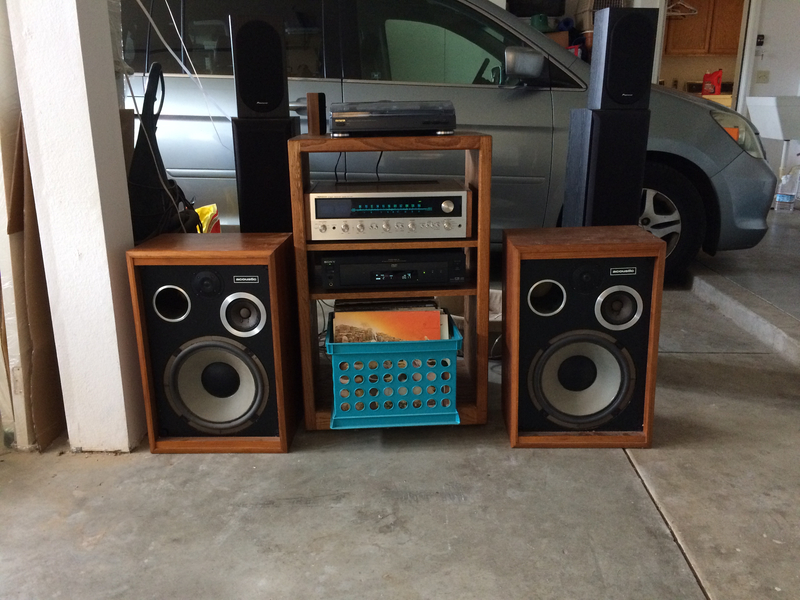 Thanks again to everyone for giving me the information I needed to pursue saving these speakers. Brother, I would pay good money for a pair of those original Eminence drivers. Even with the nasty old mismatched replacement 12's that were loaded in the pair I reworked, they were great. I'm sure the original drivers would make them that much better for my friend. Rock on!! Not to hijack this fine thread. Oh how I miss my Acoustics. I bought 2 pair of the biggest models they offered at the time - 1979. They were designed to compete againist the Klipsch Horns. I got them for just about cost for about $1400 cash for the 2 pr. Two of them were “floor models” and the other two were shipped. I don’t remember the model number and have yet to find them or any pic on the web. I went in with a buddy and bought 2 of a bunch of gear on the same bill to get “the deal”. The model I hade came with 2 15s, where one woofer was down-firing via a riser that was created in production by enlongating each side except the front. So, that created sort of it’s own natural port... as well as had the same round port out the bottom baffle. The face of mine were laid out very similar to these 626s. The finish was exactly as you revealed. Full on Retro. The grills were designed like these on your 12s. Mine were quite bigger and square. I loved them and my neighbors as hated them. The only issue I had was driving them with the Phase Linear 400 amps that I also bought at the same time. At 18 yrs old I was mystified by both the amount of bass output to go along with the hypnotic PL radar red sku meter dots bouncing across the linear display. I do recall having to press the tweet reset button after either listening to Zep or PFloyd vinyl pettty hard. One of the sweetest sounding tunes I tested at the time on this setup was “On Broadway” by George Benson. Somewhere in the Souteast of the county, someone may still have mine. Or they are being used as make-shift dining room furniture by now. I had to let them go when I got a job promotion and moved from Houston to Austin and they were just too massive to have in a small apartment. Since I owed one my best friends some cash, I gave them to him. We still talked every now and t said Ide come buy them back. By now I’ve built several speakers that easily compete in sound, but won’t come close in eye candy. Should you still need tweeters, I have a pair or round EMITs I pulled out of some insurance claimed Kappas, that would probably kick over Panos or RShacks Thanks for sharing this rehab and throwback. Would you like to buy a paragraph?